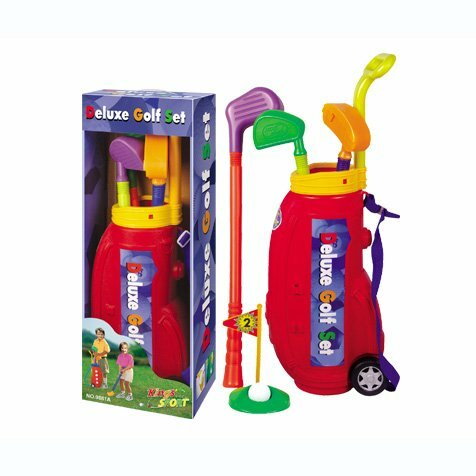 This complete golf set will give your kids hours of golf time fun! 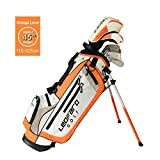 Set includes 4 golf balls, 3 clubs, flag, tee and golf cart to hold all parts so you won't lose any pieces. Also makes it easy to organize and store. Wheeled golf caddy is easy for toddlers to tote, and everything fits inside for easy storage and portability. Role-play activity helps your kid develop motor skills and coordination. 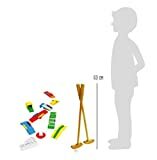 Everything your little pro will need is in this set, and because it is lightweight and easy to carry, it can be played inside or outside in the backyard, beach, or park. 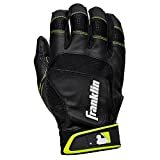 Kids will enjoy taking it out on an outing or play at home or garden.